How to Use a Caulking Gun. Caulking is the easiest way to seal against air and water. 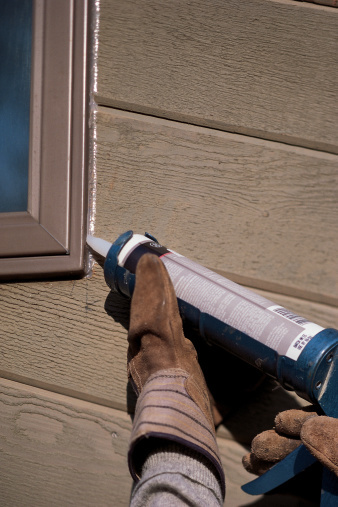 Use caulk to fill cracks between wood trim and your walls, inside the house and outside. Clean the area to be caulked, removing dirt, loose paint and old caulk. Be sure the area is dry before you begin. 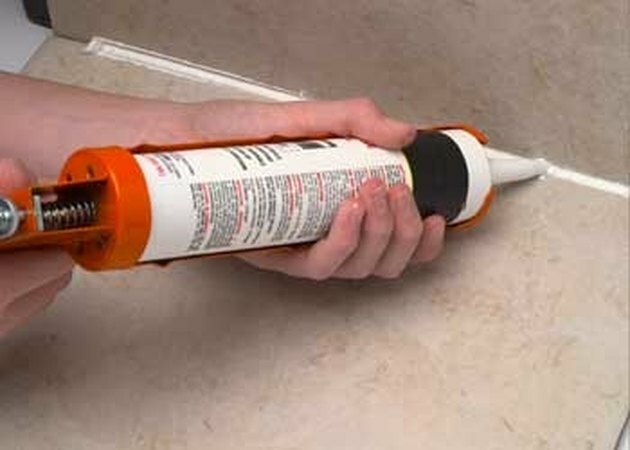 Load a tube of caulk into a caulking gun, making sure it's well seated at both ends. Use a utility knife to cut the tip of the spout. 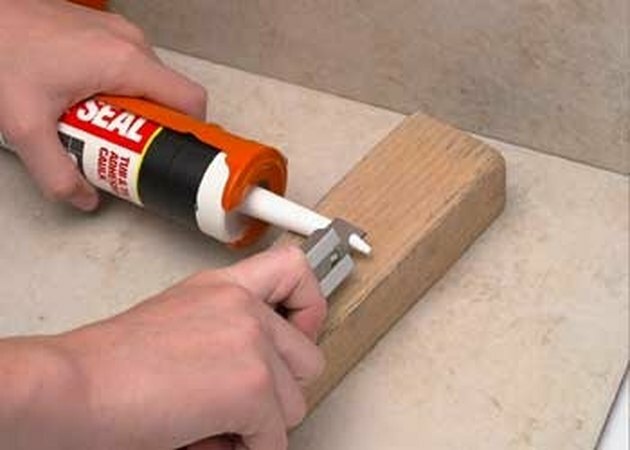 Cut off as little as possible, taking into consideration the size of the 'bead' of caulk you need. Some people like to cut the spout at an angle, while others cut it straight; it doesn't make a big difference. Hold the gun at a slight angle. If you're filling a crack, insert the spout if you can; otherwise, run it at the surface. 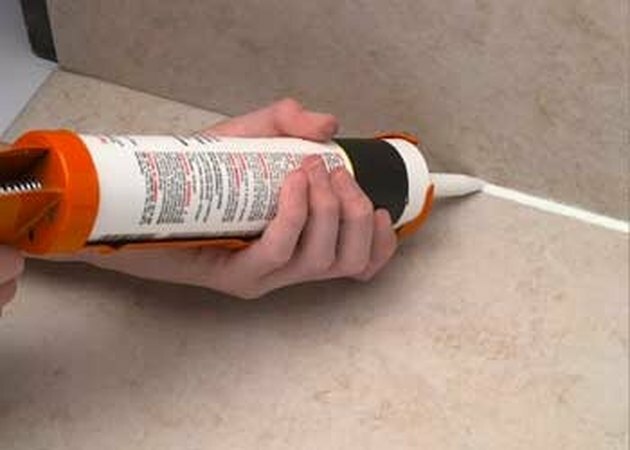 Pull away from the bead slightly as you squeeze out the caulk, rather than push into it, which can be very messy. 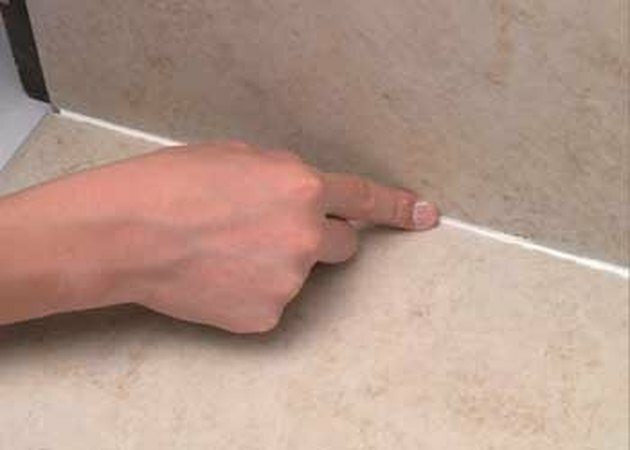 Use your finger to gently press the caulk into the corner or crack. 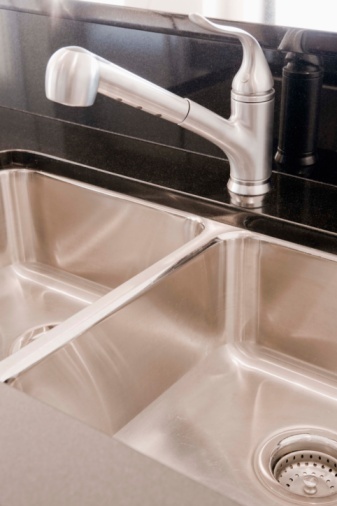 Use a damp towel or rag to clean off most of the excess caulk, then use a dry one to clean off the rest.